Students are able to acquire and properly link together the knowledge needed to address and assimilate the study of theoretical concepts and practical application on the fields of Renewable Offshore Energy. 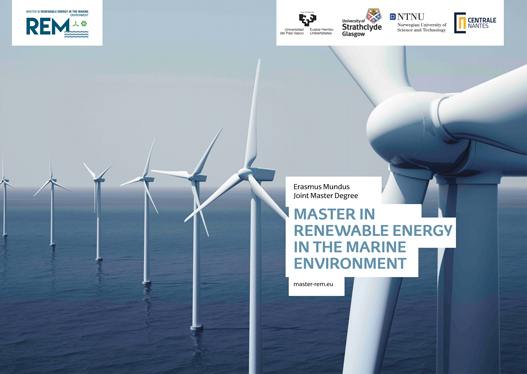 Students are able to analyze and to solve problems in new environments, not proposed during the training period, and requiring coordination with other disciplines needed to optimize the implementation and operation of offshore renewable facilities. Students can integrate all the knowledge acquired in order to be able to develop, coordinate and control technical activities related to offshore renewable energies and their integration into the electrical power system. Knowledge of fundamentals of fluid mechanics and its application to solve engineering problems. Students acquire the ability to apply their expertise taking into account technological issues as well as regulatory issues derived from the legal framework in which they develop and the consequences of social and environmental impacts involving activities in the area to which they relate. Students are able to transmit their knowledge as well as the scientific and technological basis, in a clear and easily understandable way; adapting the technical level of their exposition depending on the audience, specialist or non-specialist in the field of offshore renewable energy. Students are able to independently perform the necessary steps to update their knowledge, deepen and broaden the knowledge acquired and successfully deal with research activities, all within the field of offshore renewable energy.